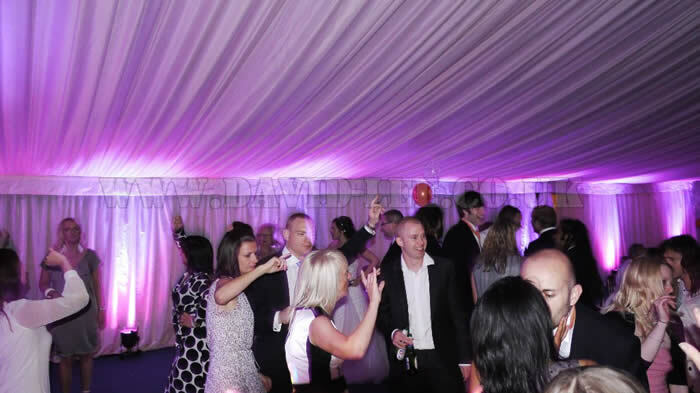 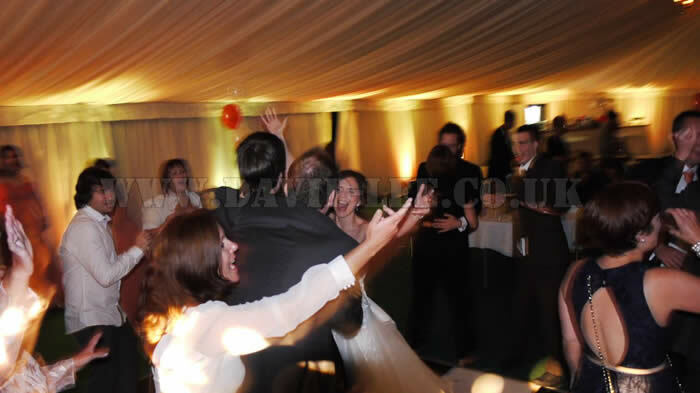 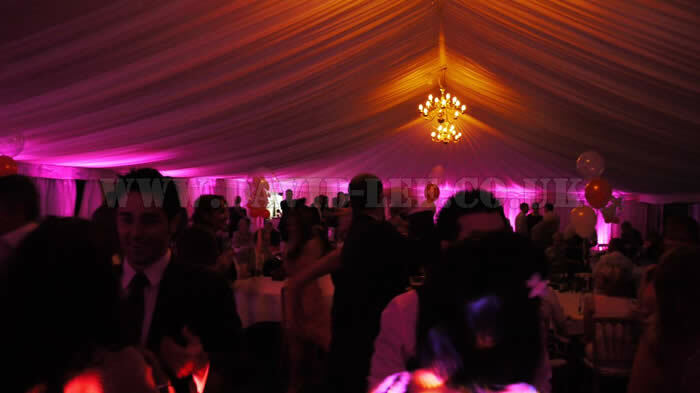 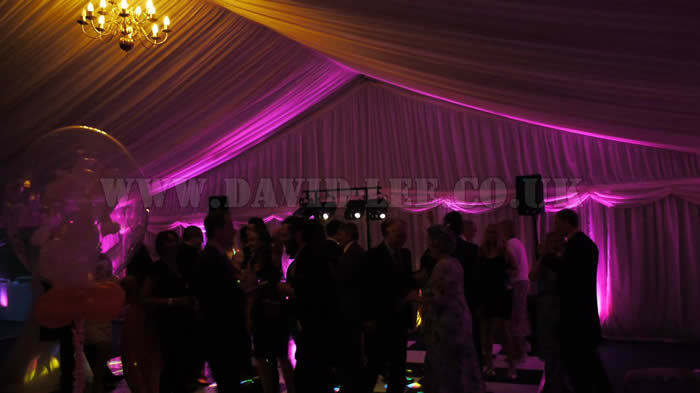 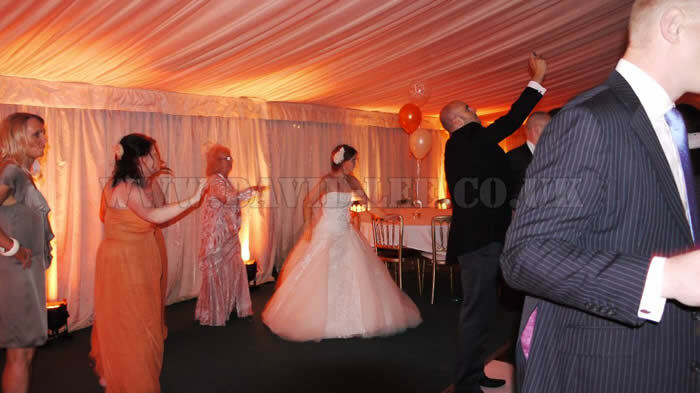 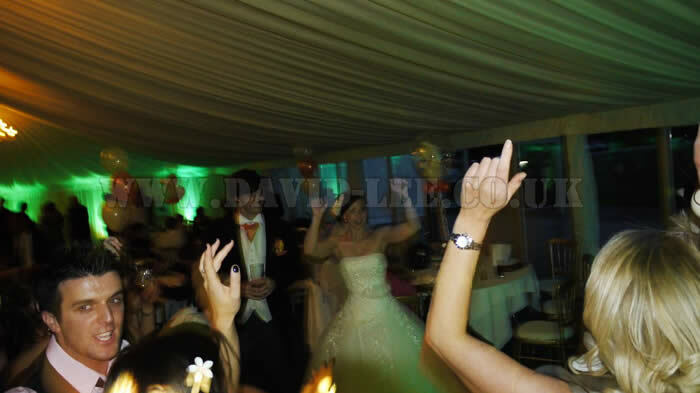 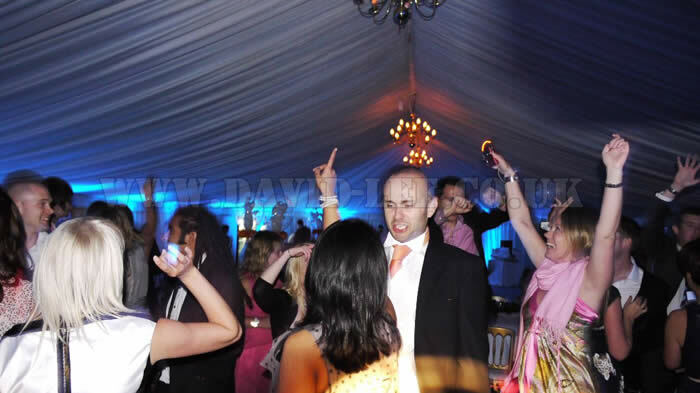 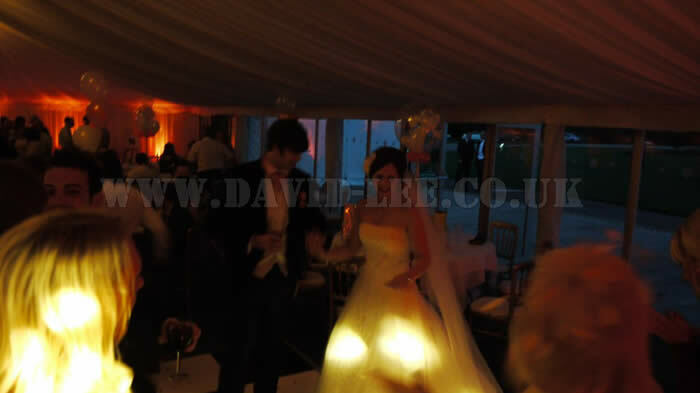 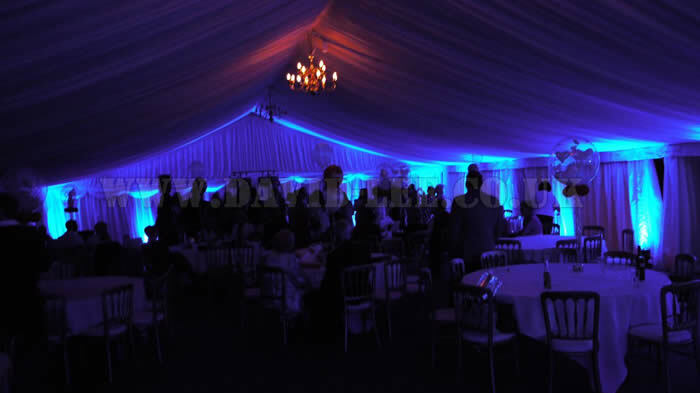 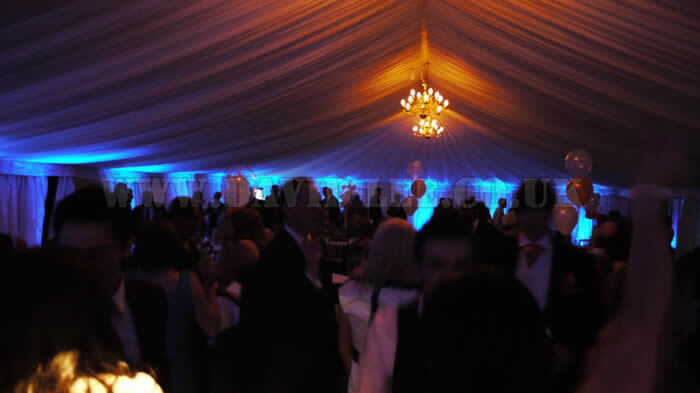 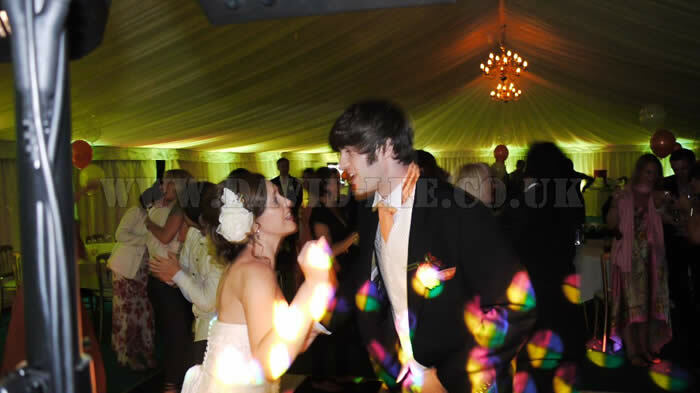 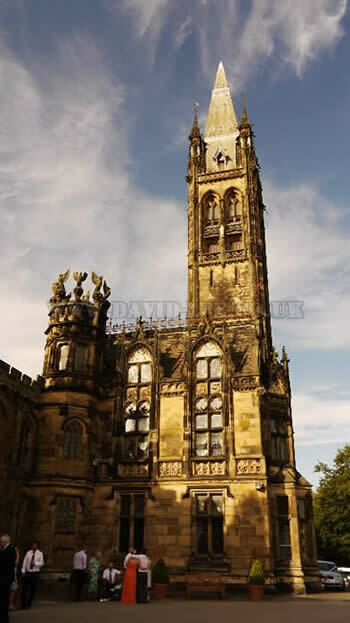 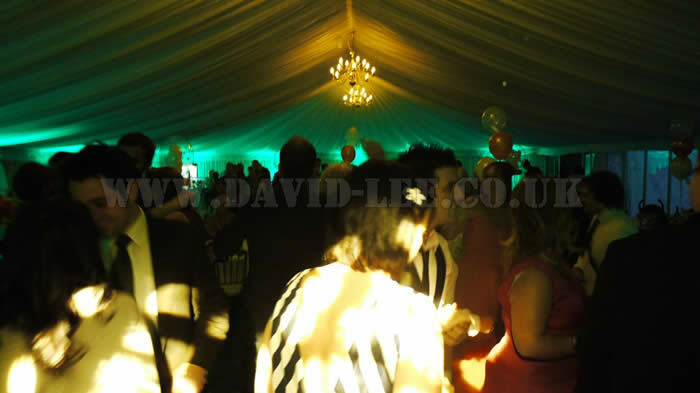 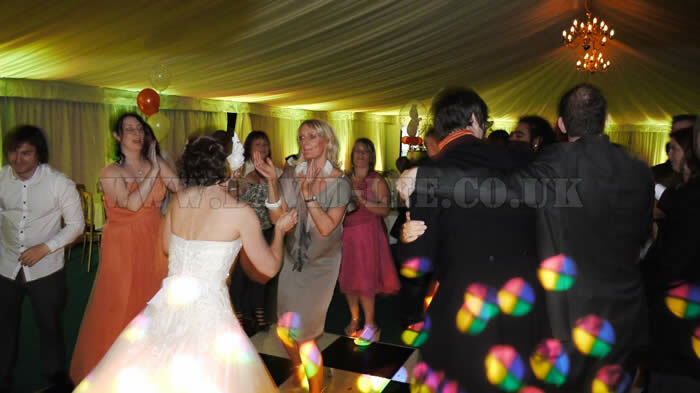 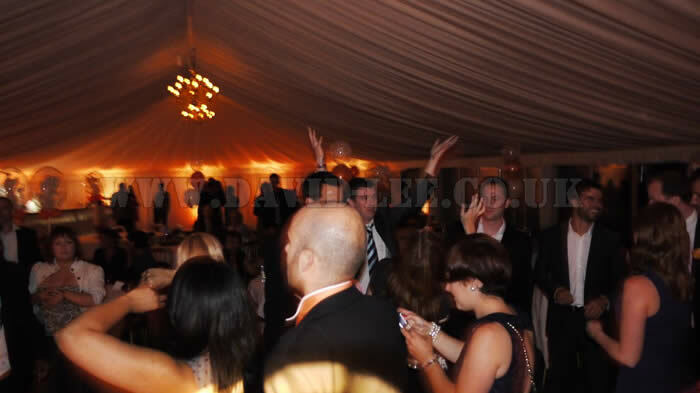 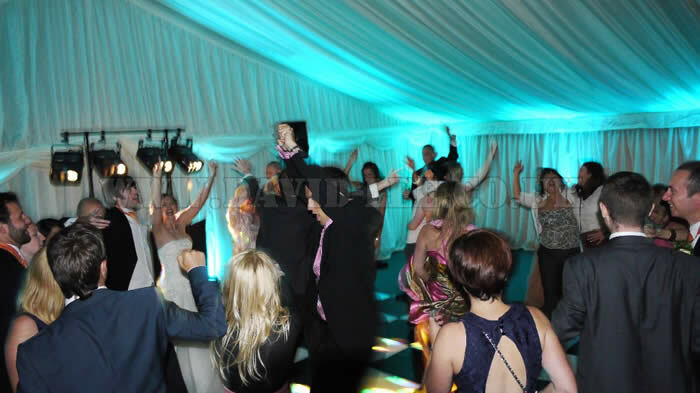 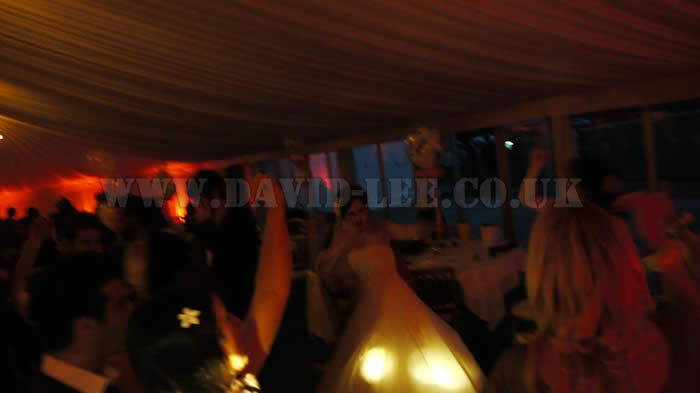 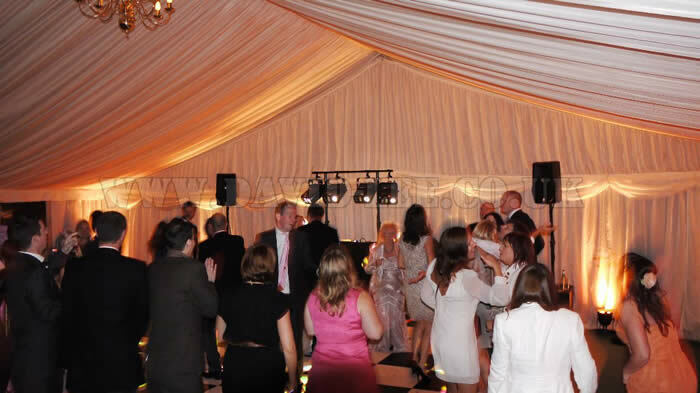 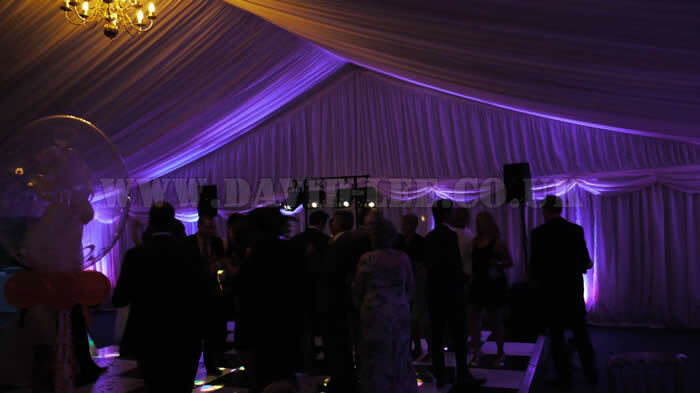 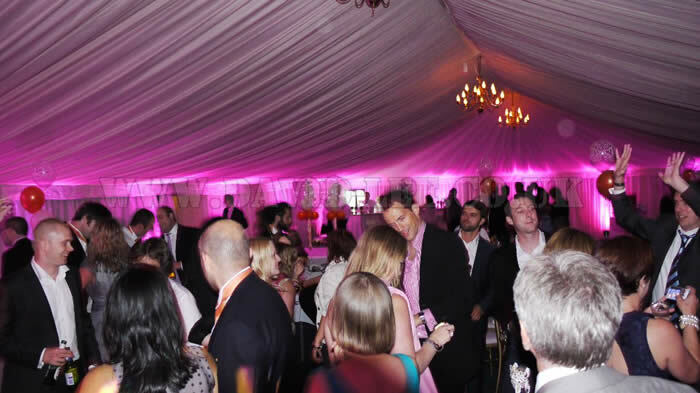 These pictures are from when I did a DJ & Up-lighting wedding at Scarisbrick Hall in August 2011. 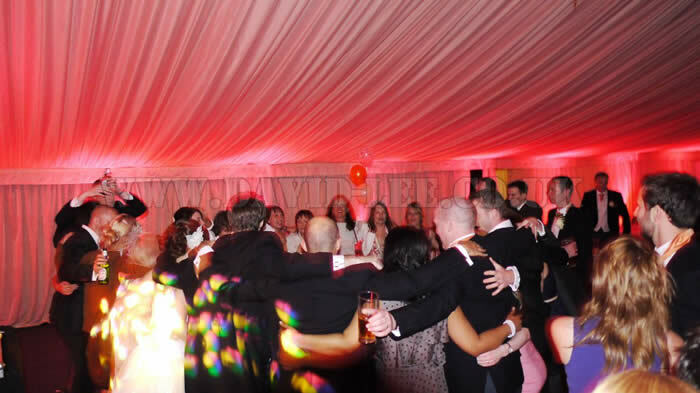 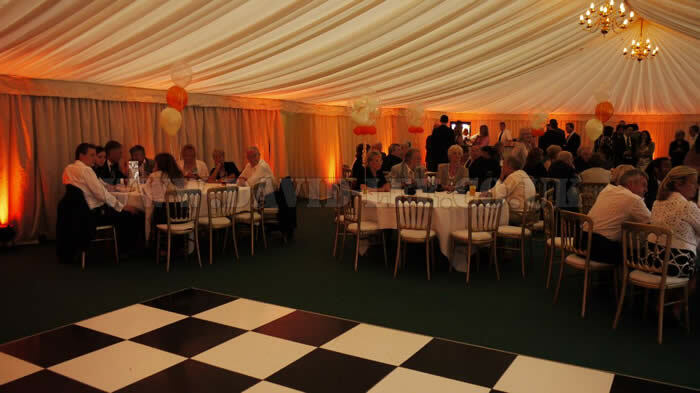 This lovely unique venue, has a marquee attached to the side so you can have a cosy intimate wedding breakfast whilst having a larger wedding reception in the evening. 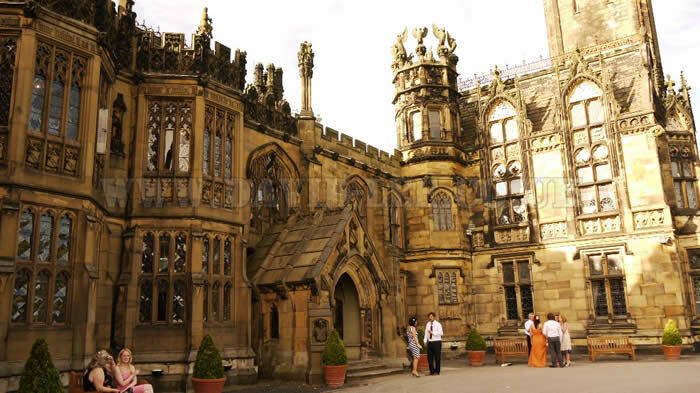 With fantastic views across the lake and grounds and the hall as a backdrop, you really can't find a better exclusive wedding venue in Lancashire. 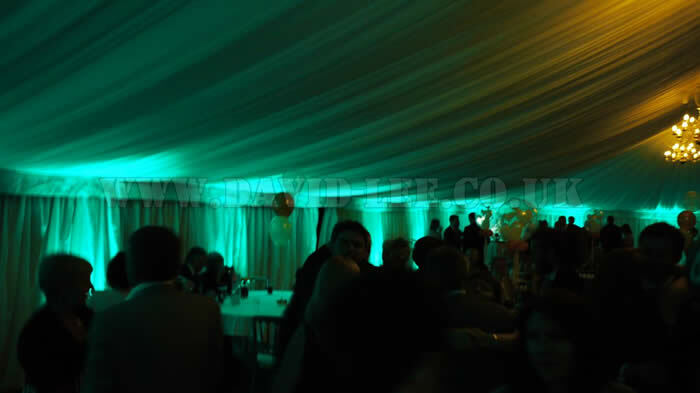 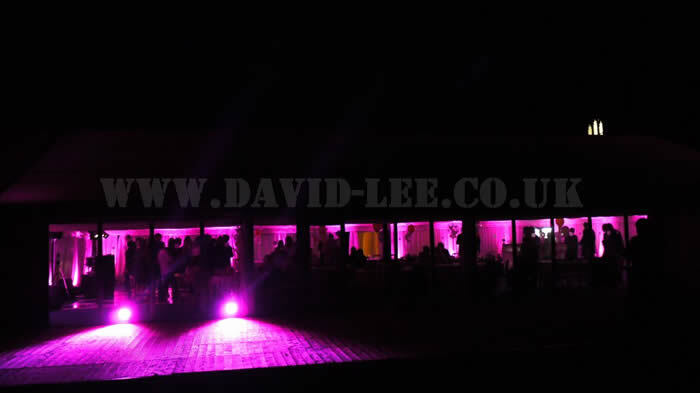 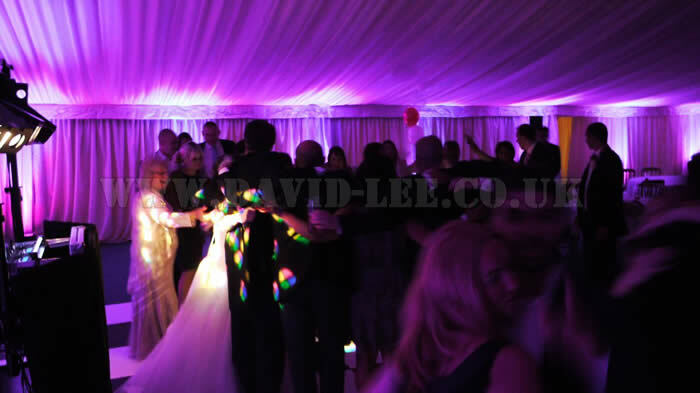 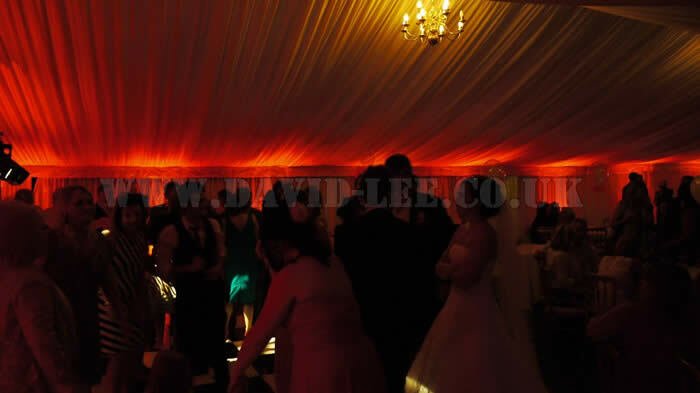 As mentioned I was supply the venue lighting as well, which was on Gold or the the guests arrival and first dance, then later on was switched over to a gentle colour fade throughout the night. 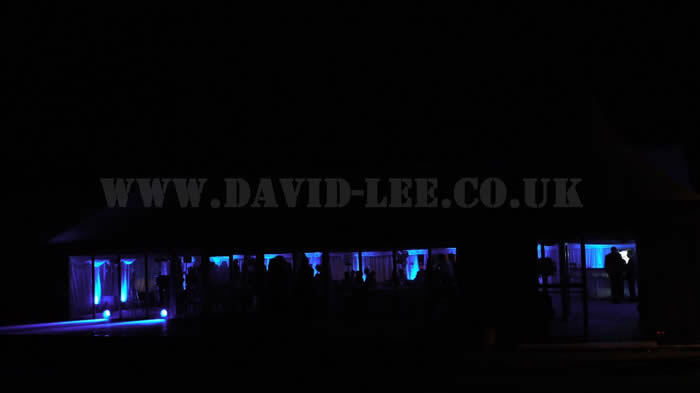 Later on they served the Hog roast outside so I added a couple more up-lighters to shine a bit of light out there. 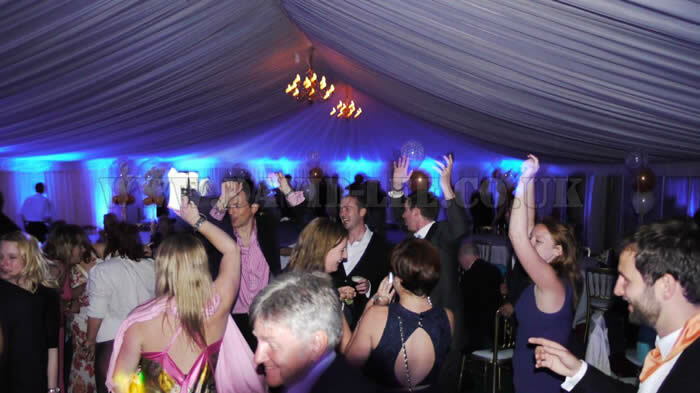 It was a fantastic night with a great crowd who danced all night long. 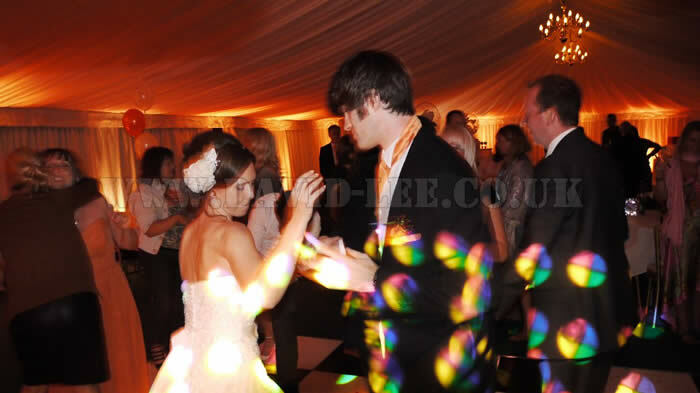 It really was a great wedding reception. 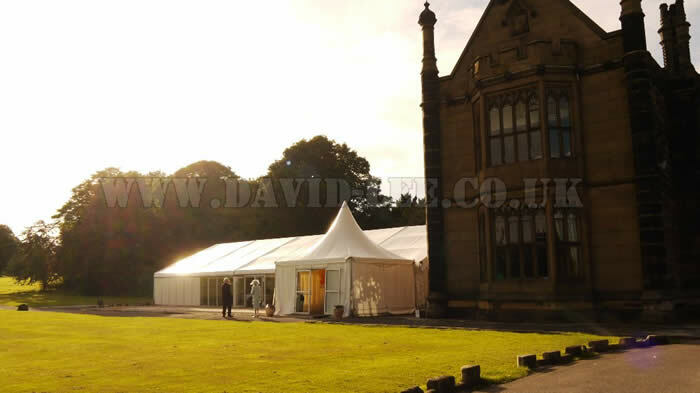 Hopefully these pictures show I can make the Marquee at Scarisbrick Hall really come alive for you on your wedding day.